Can you read what I said there in green? I said: "Did you take that pic? 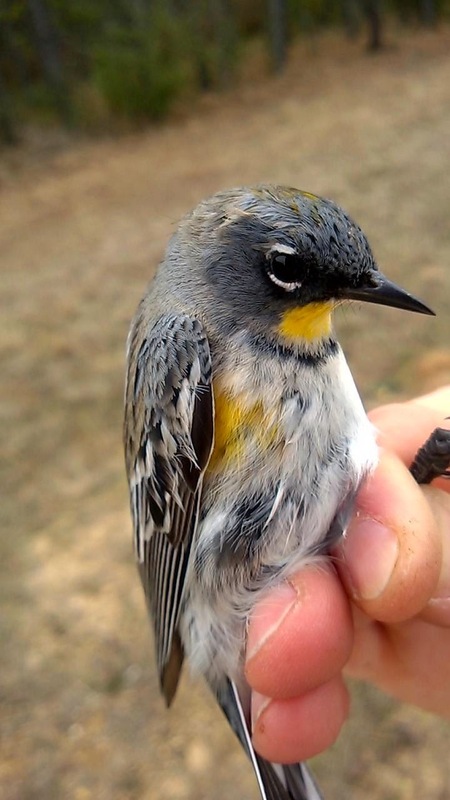 Audubon's subspecies, rare in Mississippi." 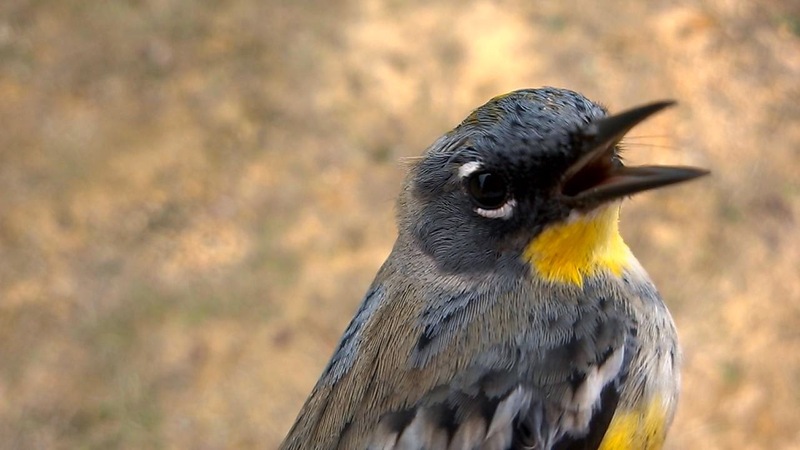 You can clearly see from the yellow throat that this is the Audubon's subspecies of yellow-rumped warbler, typically restricted to the West. She confirmed that, yes, she had netted this little fella in Mississippi. I checked eBird to see just how many Audubon yellow-rump records there were in the Magnolia State. So let's see that's, uhhh, zero? Zero records? My cousin just randomly sent me a picture of a bird - one of thousands of birds she has banded, and it's a first state record? What a gal. Good birds compliment good genes in this family. She sent me a couple of other pictures of this little guy, so please enjoy. Thanks, commenter, but that appears to be a link to a Louisiana report, not Mississippi...? Facepalm. Yea, looks like I didn't filter through my search results very thoroughly. 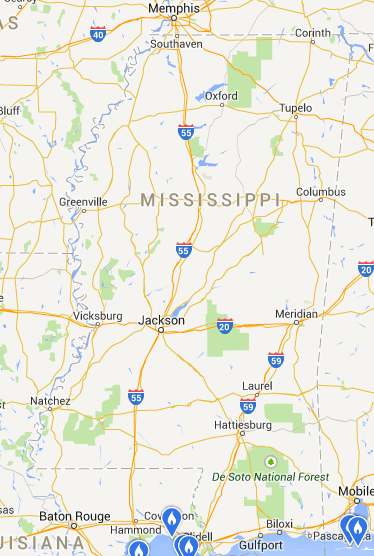 I wondered why there was an Orleans county in MS.
All the MS links I could find are dead now. It'd be pretty cool if someone like the ABA would keep a standard database of some of this stuff. Even coming up with a list of review species can be difficult for some states. Given the fact that the much-better-birded LA only has two accepted records it seems like this could actually be a first record. Josh - Ha no worries. 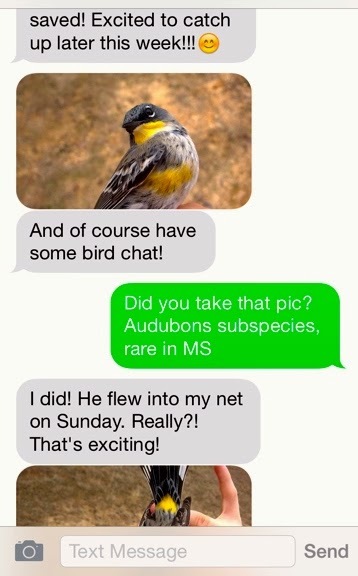 I was in touch with a master MS birder friend of mine and he said he's only seen one Audubon's in the state in his 30+ years. So, there are records for sure, but few.